Do you have significant dental fears or anxiety? If so, we offer you conscious sedation dentistry. You'll be awake and in control for your service, but you won't feel anxious! Get the smile you've been dreaming of. 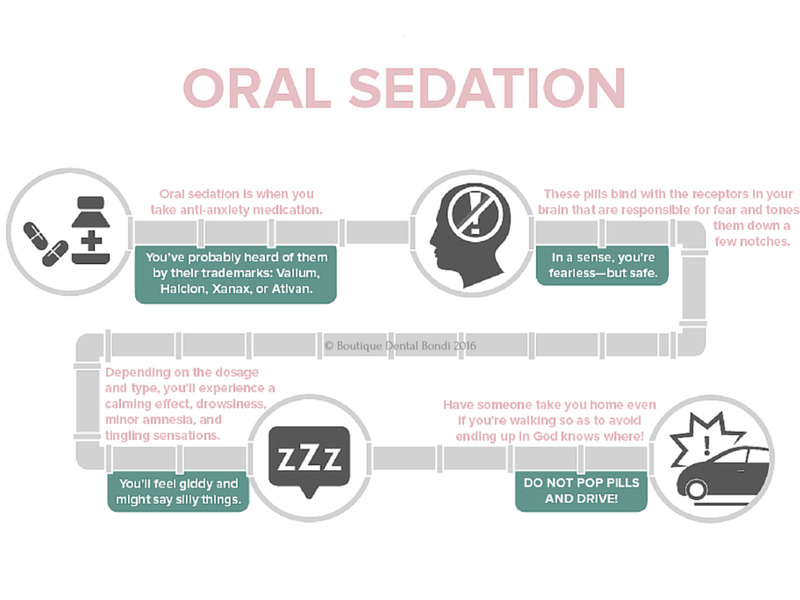 Happy gas, laughing gas, relative analgesia, RA, gas and air, nitrous, nitrous oxide… this sedation technique has many names and deservedly so. 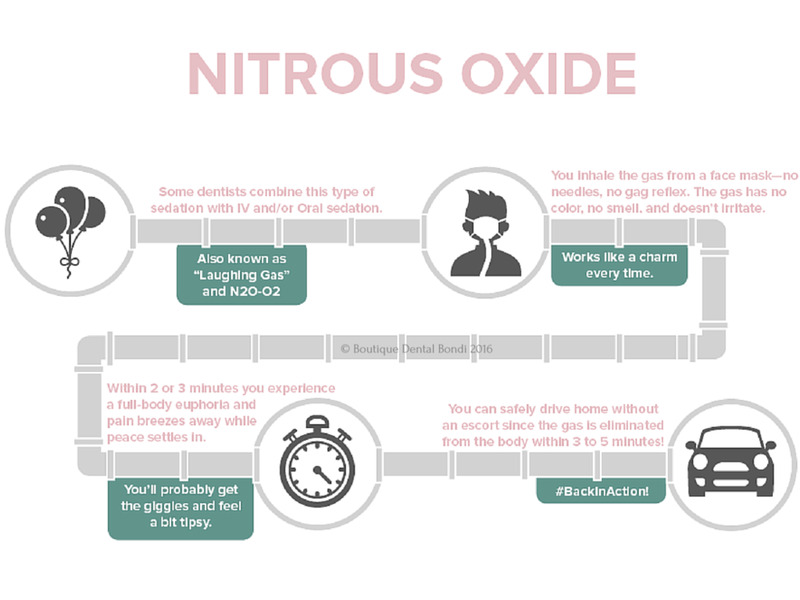 Inhalation sedation with nitrous oxide and oxygen has been described as “representing the most nearly ‘ideal’ clinical sedative circumstance”. It will make you feel relaxed and happy, helping to distract you and relieve anxiety. Our modern and integrated inhalation sedation equipment is fully adjustable and safe. It allows for quick and easy changes in concentration to suit your level of comfort. Still anxious about your visit? Come speak to one of dentists about a prescription for oral medication. We can use this in conjunction with happy gas to help provide the most relaxing experience for you. At Boutique Dental Bondi, we offer these options to allow for simple and extensive dental care to be completed without compromise and in fewer visits. So you can get the smile you want without the fear and discomfort! Book today by calling 02 9387 2851.